The Arizona State Parks Board, Yavapai County , the Town of Jerome & the Jerome Historical Society invite you to visit Jerome State Historic Park! The park is open 8:30am. to 5pm. daily. The Museum is open 8:30am. to 4:45pm. daily. Construction is complete, and the Douglas Mansion has received a new paint job. Come explore the history of mining in Jerome. Jerome's modern history began in 1876 when three prospectors staked claims on rich copper deposits. They sold out to a group which formed the United Verde Copper Company in 1883. The resultant mining camp of board and canvas shacks was named in honor of Eugene Jerome, the venture's principal backer. Hopes for the enterprise ran high, but the costs of operating, especially for transportation, outstripped profits, and the company folded in less than two years. It took the vision and vast financial resources of a new owner, William A. Clark, to bring in a narrow gauge railroad and reduce freighting costs. By the early 20th century, the United Verde was the largest producing copper mine in the Arizona Territory. Jerome was becoming a frame and brick town, and could boast two churches, an opera house, a school and several civic buildings. In 1912, James S. Douglas purchased and began development of the Little Daisy Mine. By 1916, Jerome had two bonanza mines. Copper production peaked in 1929, but the Depression and low grade ore deposits reversed the fortunes of the town. The Little Daisy shut down in 1938. Phelps Dodge took over the United Verde in 1935, but loss of profits brought the operation and Jerome's mining days to an end in 1953. Located right next to Jerome SHP is the Audrey Shaft Headframe Park, which is open daily from 8 am – 5 pm. The Headframe Park is managed by the Jerome Historical Society . At the Headframe park visitors can stand on glass above a 1,900 foot shaft. 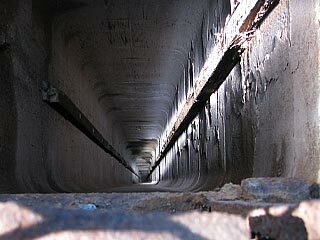 The shaft is 650 taller than the highest point of the Empire State Building! 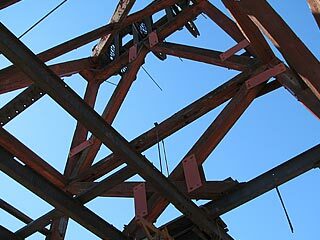 It is the largest wooden headframe still standing in Arizona; it was completed in 1918. 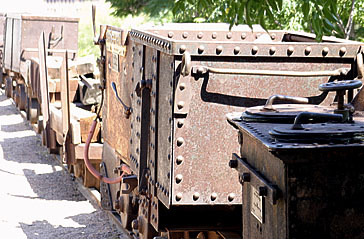 Learn more about the city of Jerome's extensive mining operation at Jerome State Historic Park. Douglas' grandfather began the family's involvement in copper mining in Canada. As an engineer and scientist, his father, James, traveled all over the world. Son James Stuart took to mining with gusto. It was in Nacozari, Mexico, that he acquired his nickname ("Rawhide") inspired by use of rawhide to reduce roller wear on a cable car incline. During development of the Little Daisy Mine in Jerome, his men cut into an extremely rich ore vein just in time for the soaring prices of World War I. His eldest son, Lewis, chose politics instead of mining. In 1922, Lewis left Jerome for Phoenix, where he served in the Sixth Arizona Legislature. His long career took him to Washington, D.C., and finally to England in 1947, as Ambassador to the Court of St. James. James, the younger son, carried on the family tradition. His worldwide career in geology brought him home for work on the Little Daisy in its last years. James S. Douglas built the Mansion on the hill just above his Little Daisy Mine in 1916. Douglas designed the house as a hotel for mining officials and investors as well as for his own family. It featured a wine cellar, billiard room, marble shower, steam heat, and, much ahead of its time, a central vacuum system. Douglas was most proud of the fact that the house was constructed of adobe bricks that were made on the site. 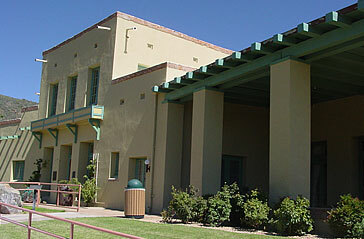 This former home is now a museum devoted to history of the Jerome area and the Douglas family. The museum features exhibits of photographs, artifacts, and minerals in addition to a video presentation and a 3-D model of the town with its underground mines. One room, the Douglas library, is restored as a period room. There are more displays outside along with a picnic area offering a beautiful panoramic view of the Verde Valley. Watch a video on the History of the Town of Jerome! An entertaining 28-minute video plays in the park's theater and is a great way to start your visit to Jerome. After you start the video, change resolution to 480 for High Quality.